«Reality defeats the most imaginary dreams» (Antonio Aniante). 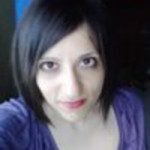 Sicilian, born in 1982, a PhD in Italian literature, she has always been looking for great Masters that could guide her along the sometimes dark path of life, illuminating it with Beauty and Poetry. So far she’s been lucky.